Tom Prince was born October 26, 1969 in Virginia, USA. His mother was a lawyer, and his father held a senior position at IBM. Tom from childhood was fond to swimming, in high school was in the junior team, participating in various competitions, and later was part of the national Olympic team of the United States. However, he was sick of swimming, besides, Prince did not see in it a source of income in the future. In school years, he also played football and even then he was addicted to power training. Tom was very gifted genetically and already in school years he was lying twice as many as his peers – 158 kg. It’s time to get higher education. Tom was always interested in literature and poetry, and he decided to make it his specialty. Prince graduated with honors from the university, reached the level of candidate of science – defended his thesis on “Modern rock music as a form of poetry” and planned to write a book about English poetry. In parallel with his studies, Tom attended the gym and seriously engaged in bodybuilding. In just one year, Tom Prince achieved a weight of 100 kg with a height of 173 cm, and in the second year managed to gain another 8 kg of muscles. By the time he graduated, his weight was 120 kg. The competition career of Tom Prince began in 1995. He immediately became the second in the tournament “Nationals” in the heavyweight division. After winning this tournament in 1997, Tom Prince received a professional card. 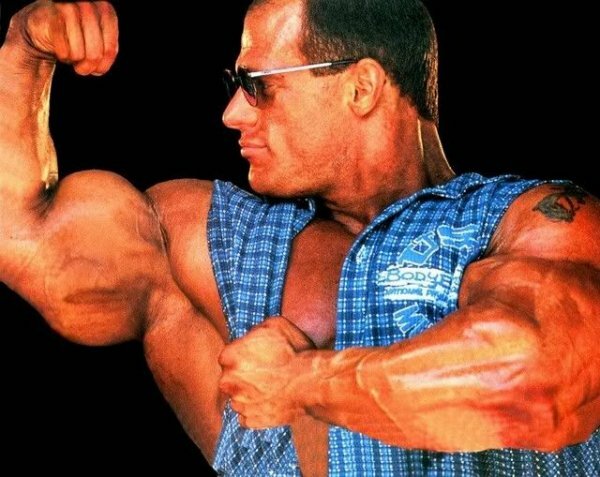 In 1999, his first performance at the professional show “The Night of Champions” took place, the bodybuilder took the 13th place. In the off-season, its weight reached 130 kg. Tom trained with huge weights and already had a whole bunch of injuries. Pain in the knees, shoulders and right elbow became his constant companions. To alleviate his suffering, Prince in large quantities used painkillers such as Ibuprofen. Doses of drugs gradually increased, and the diuretics also made themselves felt. A cruel joke with him was played by a diuretic. At that time, this drug was not found on the tests, but it is very toxic to the kidneys. Victims of this drug have become many famous bodybuilders, such as Mohammed Benaziza, Mustafa Mohammad. And shortly before the tournament “Champions Night” in 2003, the kidneys of Tom Prince were down. After the course of treatment, Tom managed to restore the kidneys only up to 90% of their productivity, he was implanted with a transplant. At this his competitive career was over. Now Tom Prince works on specialty, teaches philology and medieval poetry. Together with his wife Rebecca they bring up two children – daughter Daniel and son Nick. This entry was posted in Top Bodybuilders and tagged IFBB Pro. Bookmark the permalink.